Posted byRed Lips High Heels May 9, 2013 Posted inMemory and IdentityTags: Débat public, Identité, Liban, Mémoire, Politique, Responsabilisation9 Comments on Organisons des débats publics! NOUS NE DEVONS PAS OUBLIER! 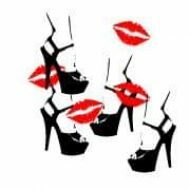 Posted byRed Lips High Heels April 24, 2013 Posted inMemory and Identity, War and Peace, Women’s Roles and SituationsTags: Génocide, Guerre, Mémoire, Moyen-Orient, PasséLeave a comment on NOUS NE DEVONS PAS OUBLIER! Posted byRed Lips High Heels February 25, 2013 Posted inMemory and Identity, War and Peace, Women’s Roles and SituationsTags: Confessionnalisme, Gestion de la diversité, Liban, Mémoire, Politique4 Comments on Oublier ou ne pas oublier?